I finally finished this quilt! I found a pink floral print on a green background that I loved and picked plainer prints to go along with it. The floral print is mainly used for the border, while the plainer fabrics make up the busy centre. 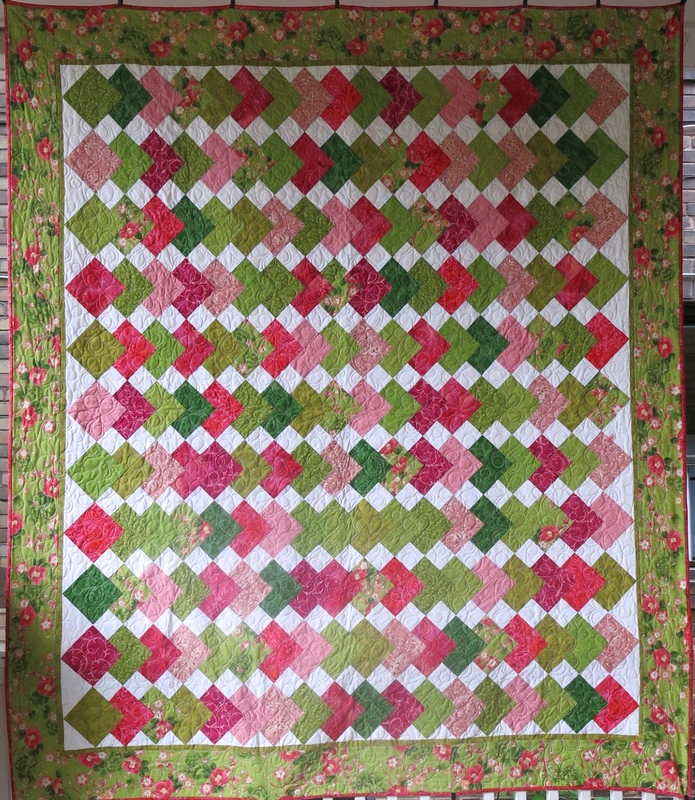 I first starting piecing it a few years ago using the ‘Cheap Trick’ pattern from Miss Rosie’s Quilt Co. (altered it slightly to increase the size). The quilt top sat for a few years awaiting completion, so when we got the longarm machine this was the first project I attempted. 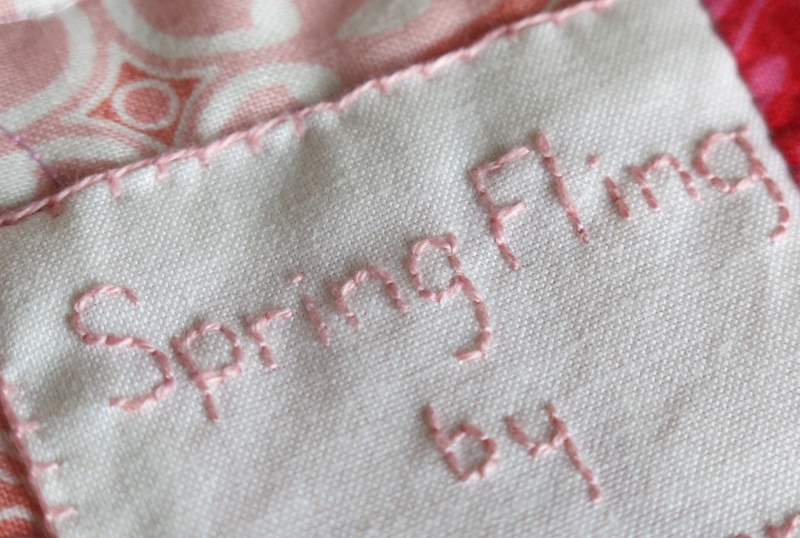 I called it Spring Fling because of the bright and cheerful colours, and even got around to embroidering a label. 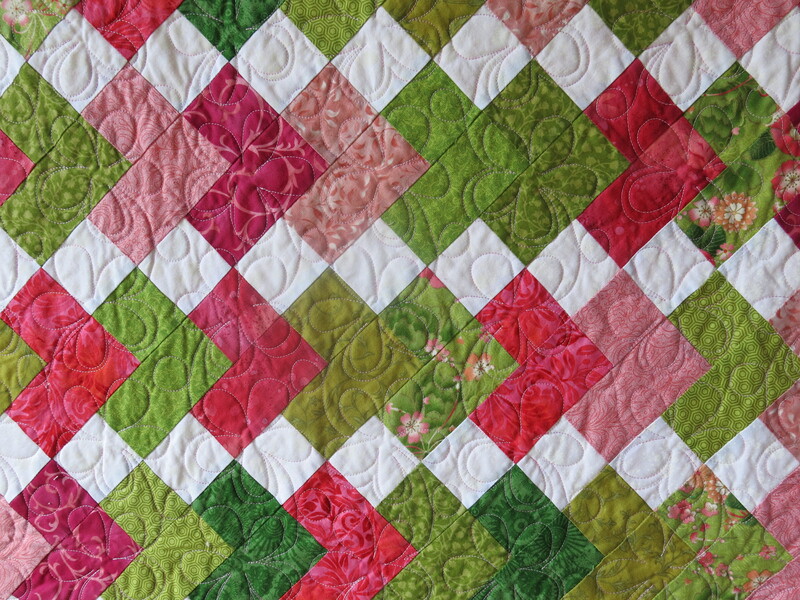 I used a bright pink fabric from the patchwork as the binding. 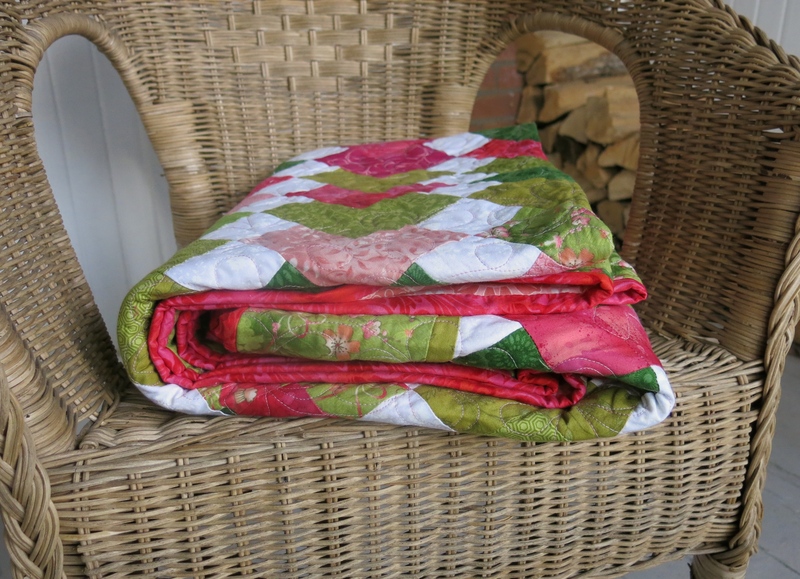 There is something satisfying about a neatly folded, finished quilt! 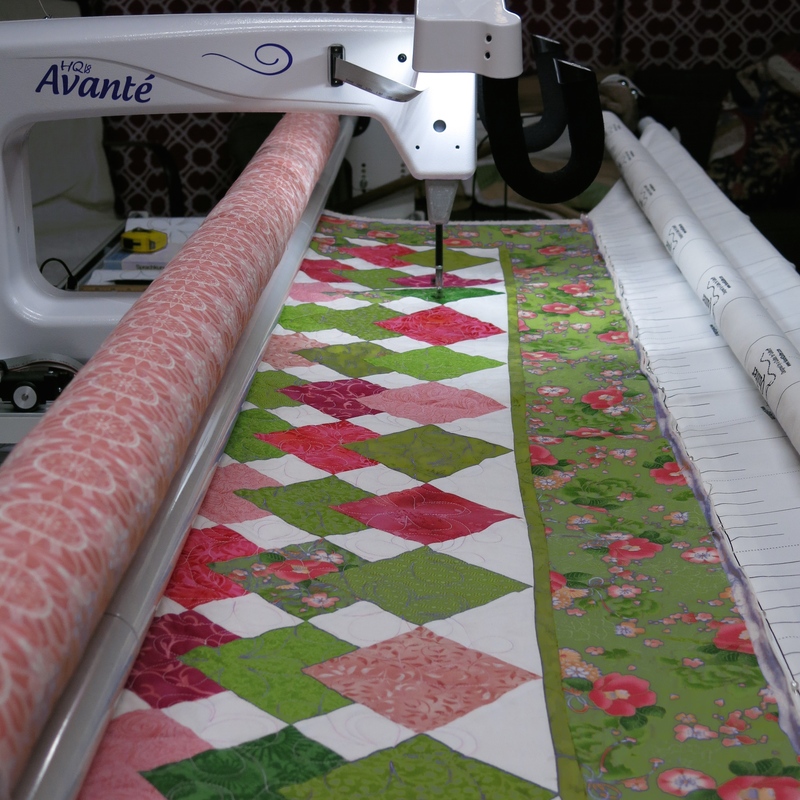 Edit: I found the picture I had of the quilting in progress! Just over one row left to go! It’s beautiful, Emily. What did you use for your backing? The backing is a bit boring. It’s only a pink print and the quilting pattern isn’t all that visible. I did take pictures, but they weren’t that interesting so I left them out. In the picture of the label you can see a bit of it around the edges.